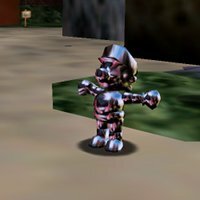 Compared to most of the tracks from Super Mario 64, the Metal Mario theme, appropriately enough, was more intense than most of the other themes which where either upbeat or mellow. In a way, the Metal Cap was more or less a replacement to the Star power up in SM64 since Stars where used as tokens to unlock stages instead of opening stages. Interestingly, all the caps used a remix of the Invincibility theme, in spite of the fact that only the Metal Cap gave it to you in the traditional way, less falling damage. The Vanish Cap also made you invincible, less the touch to kill enemies power.